How can offshore support vessel owners become cost effective in a challenging and evolving market while maintaining safe and efficient operations? This will be the burning question on at the Offshore Support Journal Conference, taking place next month in London. Spearheading the discussion will be Martin Gaard Christiansen, Chief Commercial Officer at V.Group, who will present his paper on ‘The New Normal’ on day two of the event, followed by a short Q&A session. Martin will discuss how third-party ship management is essential in empowering the sector with the necessary expertise at a time when many businesses are focusing on their core competencies. He will also discuss how, acting as a one-stop shop for all aspects of technical management, V.Group can help ensure swift re-entry into service for vessels that have been in layup, responding to signs of increased confidence in the sector. 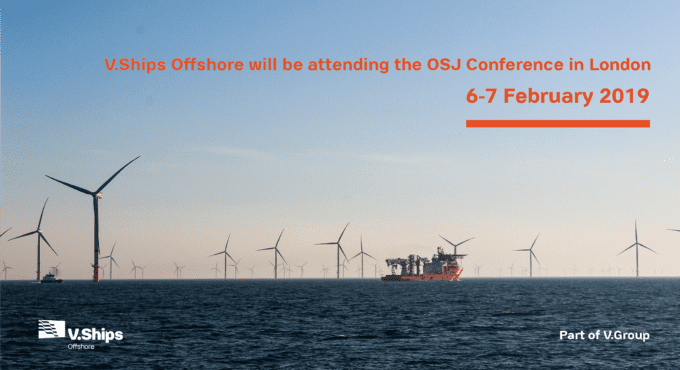 Martin will be joined by a number of senior members from the V.Ships Offshore team, including V.Ships Offshore Group Director Alessandro Ciocchi and Business Development Director Maciek Bejm, along with more than 500 attendees from across the offshore sector. For any enquiries, please contact Maciek Bejm, Business Development Director, V.Ships Offshore.